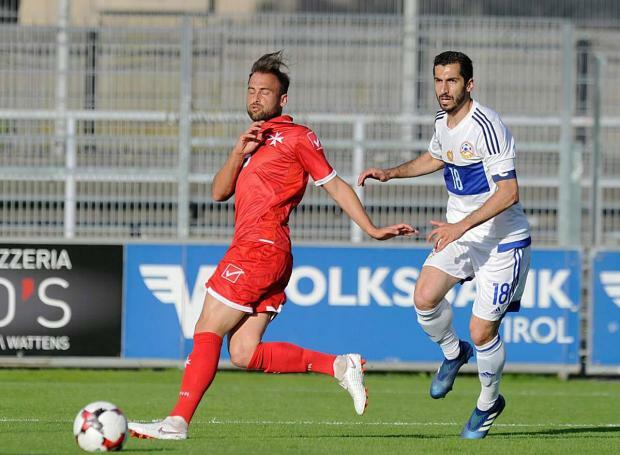 Ray Farrugia enjoyed a positive start to his tenure as the Malta national team's coach after the Maltese side earned a 1-1 draw against Armenia in a friendly international played in Wattens, Austria. Throughout the match, Farrugia handed a full debut to Ferdinando Apap of Victoria Hotspurs and Valletta's Kyrian Nwoko while in the closing stages of the encounter, Jake Grech, who is on the books of Birkirkara and Hibernians' Jurgen Degabriele made their first appearance for Malta as well. Armenia drew first blood on 13 minutes when Arsenal star Henrikh Mkhitaryan sent a searching pass towards Yvan Yagan and from a one on one situation, the latter sent the ball past Andrew Hogg. Nonetheless, Malta managed to level terms when on the stroke of half-time, they were awarded a penalty after Varazdat Haroyan handled a Joseph Zerafa's shot in the penalty box. Taking charge from the spot was Andrei Agius who slotted the ball behind Aram Hayrapetyan to make it 1-1. After the change of ends, Malta were slightly more adventurous with a couple of long-range efforts from Roderick Briffa and Alfred Effiong but neither player found the target. In the latter stages of the game, Armenia were dealt a blow when Haroyan was sent off for a second bookable offence after flooring Effiong. Malta will return to action next Friday, when they meet Georgia in their final game of their training camp in Austria.